We will be holding a demo in Colwyn Bay, North Wales, this Saturday (3rd June) at the Colwyn Bay Blast event. We will bring a Kaholo SUP and some of our range of kayaks for you to try on the water. The Colwyn Bay Blast is a 15 km race starting and finishing at the beach by Colwyn Bay Watersports Centre, Porth Eirias. The race is open to surfskis, sea kayaks and outrigger canoes. There is also a 10 km course for stand-up paddleboards. 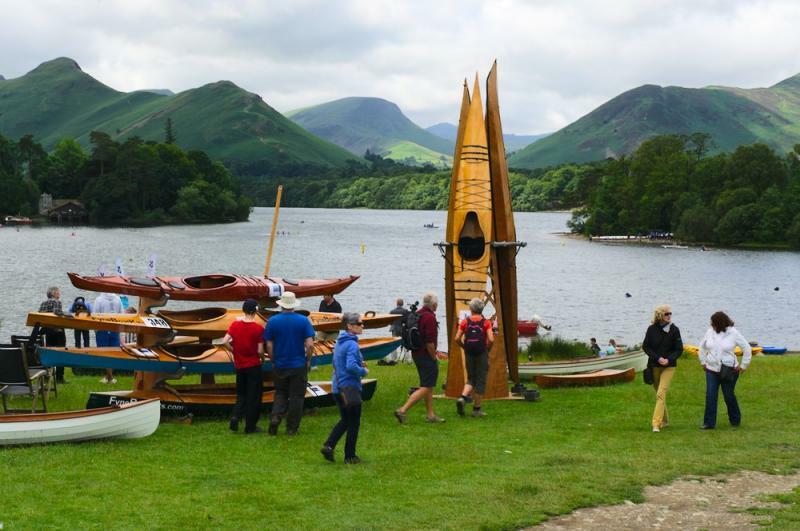 We are going to the Derwentwater Regatta in Keswick on the weekend of 8th-9th July, where you can see our range of boats, meet us and have a free demo on the lake. The event is organised by the National Trust. This will be our biggest demo of the year and we will be bringing all our demo boats, including a few that are new for this year. If you have already built a boat, bring it to our stand - we'd love to see it! We also have a five-day boatbuilding course starting after the regatta on Monday 10th July, so why not spend a week with us in the Lake District and take your own boat home at the end of it? Unfortunately our annual demo at the Windermere Solstice Race will not be possible this year due to the redevelopment work at Fell Foot. If you were looking forward to meeting us there again, we hope you can make it to the Derwentwater Regatta instead. We are organising more demos for later this year; stay tuned for updates.